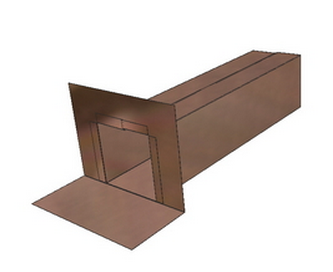 Scuppers are tubes used to carry water from a roof through a wall and then down through the side of a building. Sometimes they are used as an overflow, providing an alternate drain in the event that the drain system should fail. B&B Sheet Metal stocks 4×4, 6×6, and 8×8, with attendant flangers or tubes for your convenience. We can also customize scuppers to your required size. 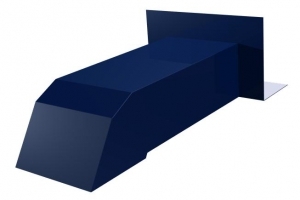 Box Tube Scupper assist in carrying water away from the roof, through a wall, and down through the side of a building. 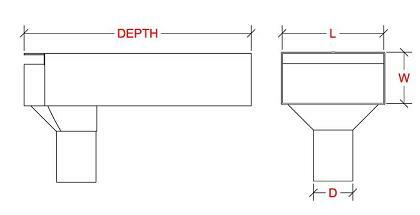 A Scupper with a Tube is a method of channeling water from top down: the roof -> the wall-> to the ground. 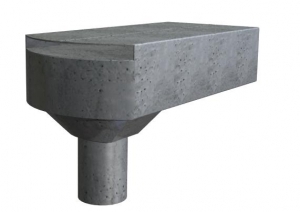 Faucet Scuppers allows rainwater to drain off the roof system, instead of pooling within the railing of the roof. Scuppers can also be placed in a parapet, for that very same purpose. Our Faucet Scuppers are known for their durability and their quality craftsmanship. In tandem and conjunction with the rest of B&B’s roofing products, your roof can become a fort ready, willing and able to ward and fight off the most torrential rains and the nastiest storms. Our products meet the highest quality expectations and are crafted to withstand very adverse climate conditions to make regular rainstorms seem like they’re all in a day’s work. 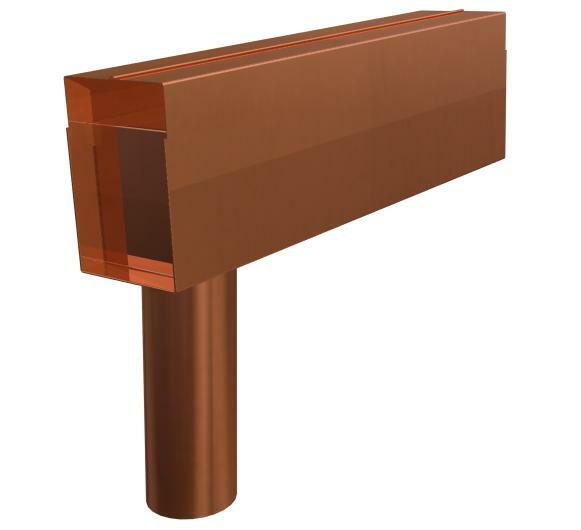 The Leader Head Combo Scupper is first and foremost a leader head that conducts and directs water from the gutter and then ingeniously doubles as a scupper to prevent pooling and puddling on the roofline. The Leader Head Combo Scupper is the ultimate two-in-one, bringing you two integral and critical components of the drainage system of a roof in a single unit. Our engineers have crafted and tested and refined and improved this system so that it not only works better than anything like it on the market, but it will keep your roof as dry as the Sahara. B&B is always ready to take it to the next level to provide you with cutting edge technology and a way to streamline the process. 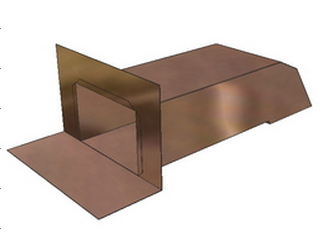 A Roof Flange Scupper is designed to be installed from the roof side. This is done by pushing the scupper though the wall and applying roofing material. For a more appealing look, we recommend mounting a face plate over the outside. 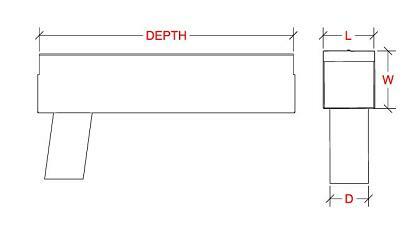 A Scupper with a Roof Flange is a method of permitting drainage by fastening the scupper and then adhering the Roof Flange by using a primer.